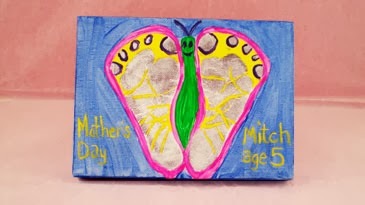 Kids will make mom feel special with any of these creative craft ideas for Mother's Day. Mom will love seeing her child's little feet frozen in time with this cute craft. Precious footprints are transformed into a beautiful butterfly. Create a box full of memories for your mother this Mother's Day. 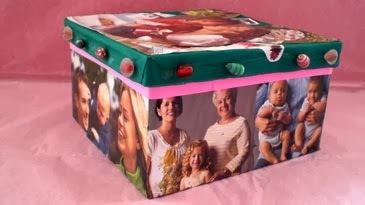 Decorate a box with photos and beads, and fill it with special family memorabilia, such as drawings, letters, and photos. Have fun decorating a picture frame with buttons to show off a photo of one of your mom's favorite people -- you! Decorate flower pots with your own special artwork. 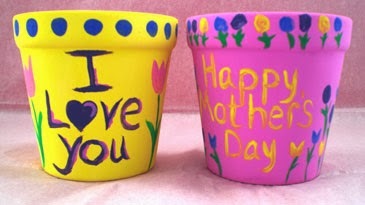 Then, fill them with seeds or a plant to show mom just how much your love grows for her. 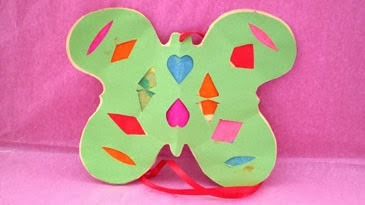 These colorful butterflies are a perfect craft project for kids who need a gift for Mother's Day. Mom will love hanging this stained-glass piece of art in her window this spring.